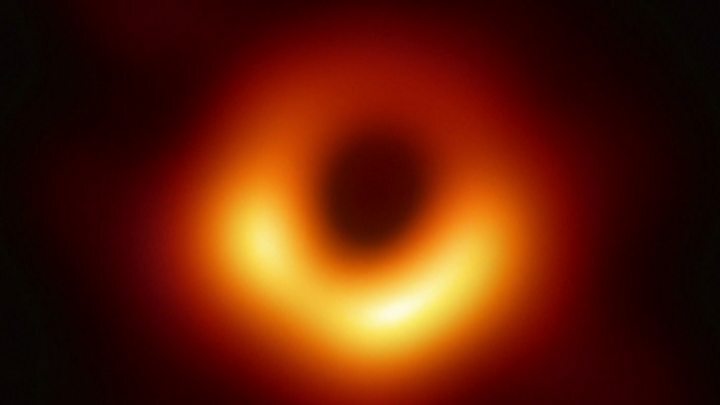 The many unknowns that surround the phenomenon of black holes led millions of people to be pending on Wednesday of a simple photograph. This was the day chosen by an international team of astronomers to spread the first image of what is considered one of the greatest mysteries of science. And the result was spectacular. 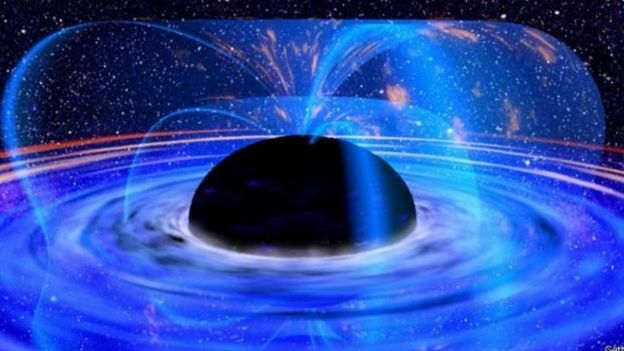 “He is an absolute monster, the heavyweight champion of the black holes of the Universe,” Professor Heino Falcke, of Radboud University in the Netherlands, who originally proposed the experiment , told the BBC. But the question that many people became fascinated by the image is: what is really what we are looking at? Image caption Scientists recognize that “nobody knows a lot” about black holes, which contributes to the mystery and fantasy that surrounds them in the imagination of many. The mathematician Hannah Fry and the geneticist Adam Rutherford then contacted the cosmologist Andrew Pontzen, who confirmed how little is known about this topic. ” Nobody knows a lot about black holes, that’s why they are so fantastic, not only do we not understand them well, but the little we understand exposes the strangest phenomena of physics,” the scientist acknowledged. But, at least for now, this is what is known about this exciting topic. It is a supermassive black hole in the heart of a distant galaxy. “Essentially a black hole is a lot of stuff that is stuck in a space so small that nothing can come out, not even light ,” Pontzen explained. And the best ingredient we know to make a black hole are the stars that, at the end of their lives, explode after consuming all their fuel and suffer a gravitational collapse. What remains of them is transformed into a super compact object that even light can not escape, which explains why the black hole looks that color. It is then that it becomes a huge void that aspires to anything that comes close to it. Copyright of the GETTY IMAGES imageImage caption More than possible in a small space … does it sound like? Only stars with sufficient weight, those that are 25 times larger than the Sun, can create one of those abysses. It is estimated that there are about 100 million black holes in the Milky Way. The problem is that , until now, we had not seen them. Could the Earth fall into one? This is one of the most searched questions on the internet this Wednesday. “The short answer is yes, ‘it could’ happen, but it is very unlikely, and we would have some warnings before something really bad happens,” astronomer Christopher Springob wrote on the website of Cornell University, USA. about the possibility of a hole approaching our planet. 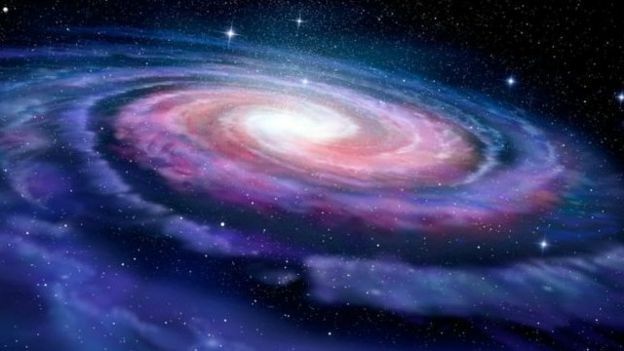 Despite the thousands of light years that separate the Earth from the closest hole, which is located in the center of the Milky Way, the scientist said that it can not be 100% ruled out that a supermassive black hole could approach us if our galaxy it will merge or “collide” with another. Image caption The unlikely scenario of a black hole approaching Earth could be due to the Milky Way merging or colliding with another galaxy. In that unlikely case, “Earth could be thrown into the galactic center, close enough to the supermassive black hole to be swallowed up,” Yale University astrophysicist Fabio Pacucci said in a TED talk. In this little possible situation, what could happen to the earthlings? Most likely we died violently: fried, crashed against the core, or turned into spaghetti (or maybe, all options at once). Image caption “Spaghetti” is one of the best known effects of what would happen to us in the unlikely possibility that we would fall into a black hole. This “spaghetti” effect, one of the best known, makes “if you are very close to a black hole you will stretch, just like spaghetti,” Kevin Pimbblet, professor of physics at the University of Hull , wrote in The Conversation. , UK. “This effect is caused by a gradient of gravitation that passes through your body,” that is, our different parts would experience different degrees of this force. 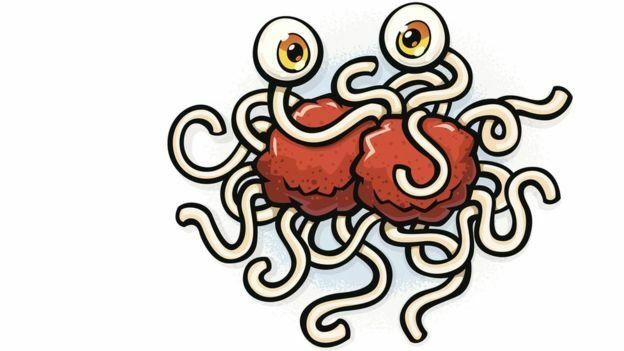 “The result is not just an elongation of the body in general, but also a thinning (or compression) in the middle.” Therefore, your body or any other object, like the Earth, would begin to look like spaghetti long before it arrived. to touch the center of the black hole, “according to Pimbblet. This would make the closest parts of the Earth to the hole would stretch while the other parts are compressed by the different gravitation. The result would be catastrophic. What is inside these holes? The interior of the black holes contains everything that has entered it. The problem is that we do not know in what state all this is. 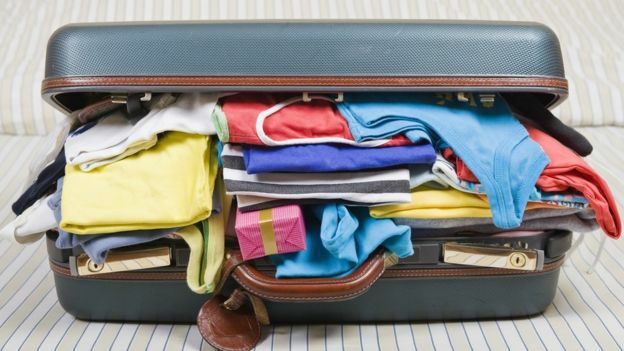 And, in fact, we will never know until someone gets inside one of them, which does not seem easy given the danger of the trip. But if we managed to get to one of these holes , what would we see? There are several theories. “One of the possibilities is ‘the wall of fire’ which, as the name suggests, you would find with a band of burning particles that would fry you like a potato,” said Pontzen. About its shape, if we surround it, we would see that it is spherical. And if it were spinning-which is more likely, since all the objects in the universe rotate to some degree-then the hole would be wider in the center, rather than a perfect circle. Image caption We can only imagine what is inside a hole like this, of the galaxy MCG-6-30-15. 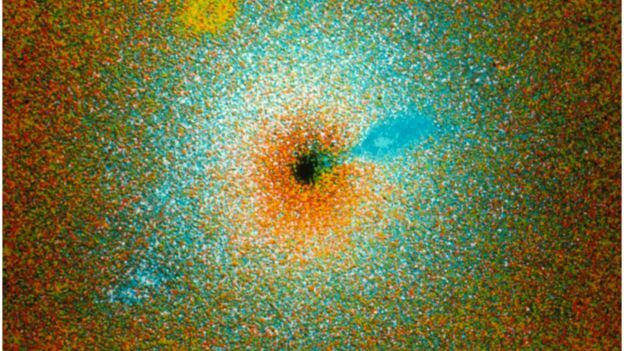 The gravity of the black hole attracted gas and dust that accumulated in a spiral. And as the material is consumed, friction heats it to billions of degrees, producing large amounts of radiation, and leaking energy and charged particles. You could not look at the black hole directly, but you could see its shadow: a visual illusion created by gravity bending the sun’s rays, and whose force deforms the image of the shadow making it look five times larger than the black hole itself. Normally we think that when traveling at the speed of light it is done in a straight line, that the photons advance inexorably forward. 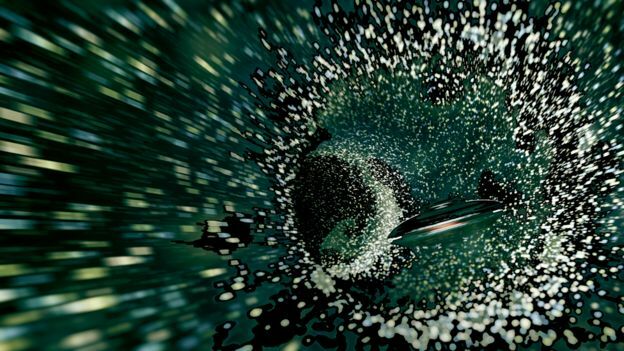 But near a black hole the powerful gravity pulls these particles causing them to draw orbits around it. Some of the photons get to escape and are those that could be seen with a telescope. And what would look exactly would be a bright ring that borders the shadow of the black hole. Image caption As gas and dust are consumed by the black hole, friction heats it and radiation and energy leakage are generated. Meanwhile, the inner part of the material ring would swirl around the black hole at a speed close to that of light. According to Einstein’s theory of relativity, a light source will appear brighter if it is approaching you. So when the material composed of dust and gas is approaching the angle from which you look, this would look like a bright crescent inside the black hole. So how did we know they exist? But if the trip to a black hole is so dangerous and until now we did not know any real picture of them, why did we know they are there? The first person to conceive the idea was the English Reverend John Michell, geologist, astronomer and one of the great forgotten scientists of history. In 1783, he proposed the existence of ” dark stars ” -the Newtonian version of the black hole-whose gravitational field was so large that even light could not escape. But it was only thanks to mathematics that the presence of black holes began to be accepted. 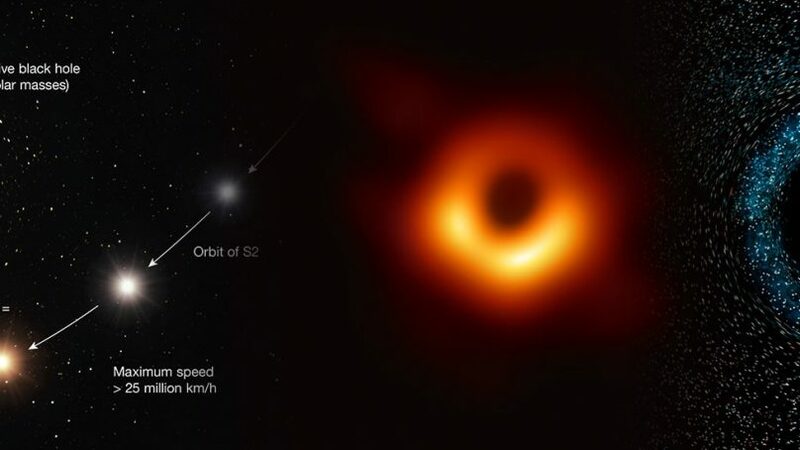 Image caption Before the release of the first photo on Wednesday, astronomers suspected that there was a supermassive hole in the galaxy M87 due to images like this one. The dark center does not show a black hole but a high density of rapidly moving stars. The German physicist and astronomer Karl Schwartzchild solved Albert Einstein’s equations and calculated how large the mass would have to be to have a gravitational force so strong as to prevent light from coming out. However, astronomers continued to view the idea of ​​black holes as “absurd” and many refused to accept that a dead star could produce an invisible but immense hole in the fabric of space and time. But there is other evidence to support the existence of these holes, beyond the confirmation of mathematics and physics. 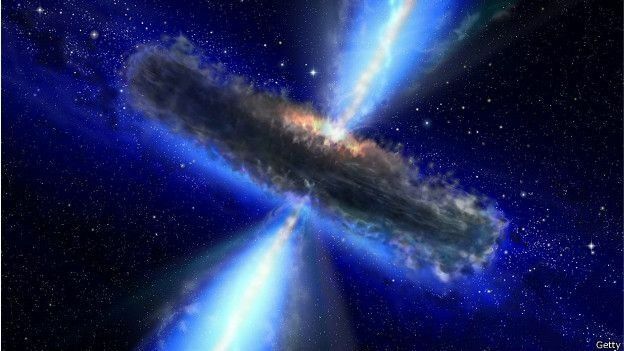 ” We have credible evidence that there are objects that behave exactly as black holes would,” the astrophysicist Sheila Rowan assured the BBC in 2017.